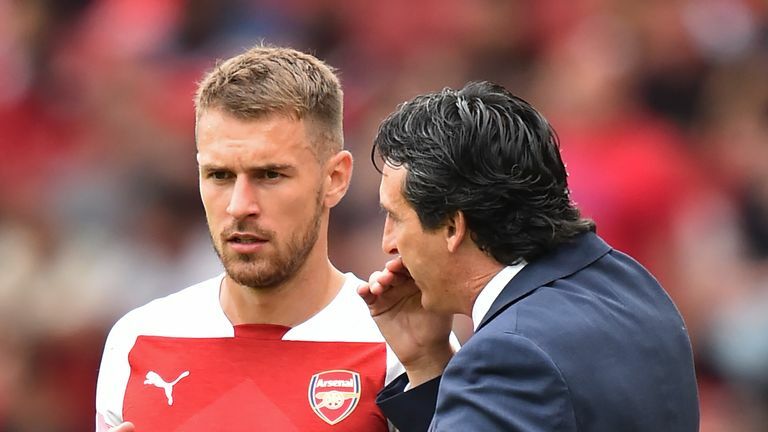 Aaron Ramsey plans to stay at Arsenal this season and not make a cut-price January move after the collapse of contract talks. Ramsey has revealed he had expected to extend his 10-year Arsenal stay after his camp felt a new deal had been agreed with the Gunners hierarchy. But those talks were shelved and the Wales international is now set to become a free agent next summer, although Arsenal could attempt to cash in on the 27-year-old midfielder in the January transfer window. However, Ramsey said: "I am contracted to Arsenal and I am going to do my best now this season to try and achieve something special. "Everything has been going great with the club. "We thought we were in a position where we had agreed a deal but that's no longer the case. "So I just have to carry on playing my football and do my best for Arsenal this season, and I'll leave the rest with the club now." Ramsey has scored 59 goals in 338 appearances for Arsenal since joining from Cardiff for £5m in 2008. He suggested that his contract situation was not affecting him when he scored a stunning back-heel effort in Arsenal's last game, a 5-1 Premier League win at Fulham. But asked if he was disappointed that there was no contract on the table, Ramsey said: "That's a decision they [Arsenal] have made and things happen in football. "You just have to get on with it and carry on playing the best I can. That's all I am concentrating on and giving my best for Arsenal." 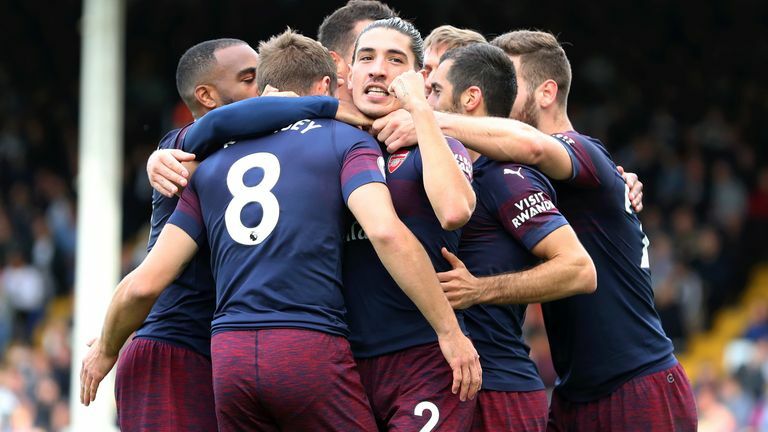 "Each player, they have their individual situations with their contracts," Emery said of Ramsey. "He is an important player and he will be helping the team with his performance. I want to have also the best preparation for him, for his mentality and for his quality to give us our best performance to help us to win."